First, that someone liked me enough to add my blog to this award is really an honor and quite a pleasant surprise. Thank you, justbenswords for nominating me. I have to say justbenswords is wonderful poetry worth following and passing on to others I hope you all will give him a long look. Second, I have to share 7 interesting things about myself. For me they are things I really enjoy. 4) One of my favorite places to visit was South Africa. I hope to one day return. 6) I have a family that believes in me. 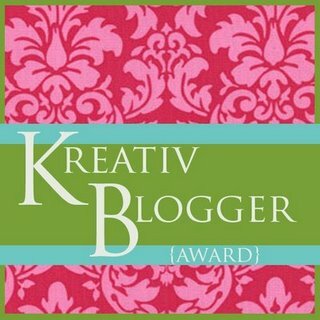 Third, I must now nominate 7 others to this Kreativ Award. I hope you enjoy them as I do. Congratulations, Rev. Deidre. If you’ve managed to accomplish all those things at such a young age, it’s hard to imagine where those talents and your faith will take you. One thing that seems evident…you’ll be willing.